Fishburn Park suffered a 5-1 defeat on the road at Teesside League leaders BEADS FC on Saturday. Park should've taken an early lead after starting the game in promising fashion, but Luke Storr shot straight at the keeper after being played clean through on goal. The away side again spurned the chance to draw first blood, this time Joe Crowther missing a chance to open the scoring. BEADS started to find their rhythym though and punished Park for their missed chances when they took a 1-0 lead. Back roared Park though, prolific frontman Dan Brown lobbing the home gloveman to make it 1-1. The league leaders weren't to be denied though and hit Park on the counter-attack on two occasions to take a 3-1 lead into the break. Their dominance continued after the break, two more goals handing them a comfortable 5-1 success. Mikey Kilpatrick almost hammered in a late consolation but his thunderous effort was tipped over the bar. Midfielder Callum Halley was Park's star man after an all-action display in the centre of their midfield. 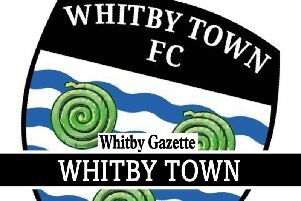 Park face another tough test this weekend as they welcome second-placed Boro Rangers to Whitby.